He was one of India's most respected media persons but also as a passionate advocate for peace and press freedom, discussed the immigrants as vote banks in his last article, focussing on the northeast. The eminent journalist and author passed away early today. Some people never hang up their boots and some, like Kuldip Nayar, never put down their pens. The veteran journalist died today at age 95, working till the end -- his last column appearing in the Lokmat Times this morning, hours after he breathed his last around 12.30 am in a Delhi hospital. The prolific journalist, columnist and author, known not just as one of India's most respected media persons but also as a passionate advocate for peace and press freedom, discussed the immigrants as vote banks in his last article, focussing on the northeast. He ended with advice to the BJP to not ignore the problems of the region, pointing out that Assam has 14 of 25 seats in the northeast. It was a fitting end for the journalist, who was born in 1923 in Sialkot, Pakistan, and began his career in journalism in the Urdu language press before going on to serve as editor of several newspapers, including Indian Express and The Statesman. It was a career with many highs for the mostly journalist, who also served a stint as India's high commissioner to United Kingdom and was appointed to the Rajya Sabha. An oft quoted Kuldip Nayar anecdote is about how he broke the news of Lal Bahadur Shastri's death in Tashkent. Kuldip Nayar was in Tashkent when Lal Bahadur Shastri died after signing the historic Tashkent Declaration. 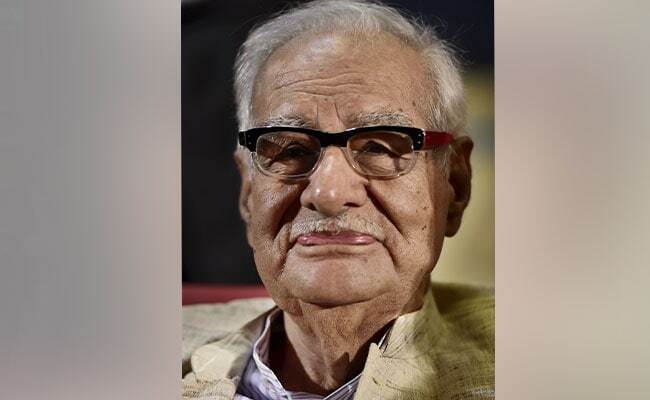 Soon after midnight on January 11, 1966 when most newspapers in India had gone to bed with front page headlines on the Tashkent Declaration, Kuldip Nayar, who had accompanied Mr Shastri on the trip, phoned in the flash to the United News of India. But the shock value was such that many back in India, at first, refused to accept it, Mr Nayar recounts in his 2012 autobiography "Beyond the Lines". "Surinder Dhingra on late night duty received the call. I told him to send the flash 'Shastri dead'. Dhingra began laughing and told me that I must be joking because he had just cleared Shastri's speech at the evening function," the book reads. "I told him not to waste time and send the flash immediately. He still did not believe me and I was obliged to resort to some harsh words in Punjabi to get him to action," he goes on to say. Mr Nayar also narrates how he learnt about Shastri's demise. "I got up abruptly to a knock on my door. A lady in the corridor told me:'Your prime minister is dying'. I hurriedly dressed and and drove with an Indian official to Shastri's dacha which was some distance away." In the book, Mr Nayar says then Pakistan president General Ayub Khan was "genuinely grieved" by Mr Shastri's death. "He came to Shastri's dacha at 4 am and said, looking toward me: 'Here is a man of peace who gave his life for amity between India and Pakistan'," he writes. Another Mr Nayar "scoop" was his interview with Pakistan's nuclear scientist Abdul Qadeer Khan, where it was revealed that Pakistan had a nuclear device. For Mr Nayar, who did his graduation from the Forman Christian College in Lahore and also got a law degree from the Law College in the city, Pakistan was a subject close to his heart. He argued tirelessly for peace with Pakistan. One of Mr Nayar's most enduring images will be of him leading peace activists in lighting candles at the Attari-Wagah border on the Independence Days of India and Pakistan -- while India celebrates its Independence Day on August 15, Pakistan does so a day earlier. The journalist, who in historian Ramachandra Guha's words followed the dictates of his conscience rather than the lure of money or fame, penned 15 books, including "India after Nehru", "Wall at Wagah - India Pakistan relations" and "Scoop! : Inside stories from Partition to the Present". He was also imprisoned during Emergency. "My story is really the story of modern India. Of the freedom struggle, of partition, of Nehru's India, of the Bangladesh war, of Emergency, and more recently of liberalisation and India as a world power," he writes in his memoirs, the title of which played was borrowed from his syndicated column "Between the Lines". A newsman till the end, Mr Nayar, who was imprisoned during the Emergency, remembers his first job in the book. "I found a job in an Urdu daily, Anjam (meaning end). "That is why I always say that I entered the profession of journalism for the end, not the beginning: Mere sahafat ka agaz anjam se hua," he said.